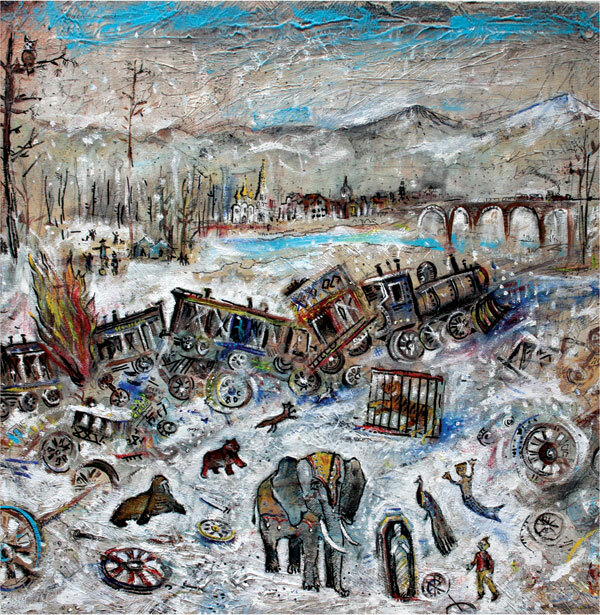 With 10 years as a band under their belt, it is only fitting that mewithoutYou has managed to make their most expansive and dynamic album to date. Their 5th album Ten Stories toys with the band’s favorite themes of romantic disaster and quasi-mystical speculation, offering up a collection of allegorical songs about a circus train crash in 19th century Montana. Through the fable-like interactions of fictitious animals, the songs offer up deep ponderings about human character. It is these ruminations on life, love, loss and spirituality for which mewithoutYou has become so well-loved. Ten Stories is yet another gem for their catalogue- a combination of the hard-hitting energy of the band’s earlier years and their more recent ventures into melody.